15 Israeli and Palestinian human rights organisations today warned of the far-reaching consequences of Israel’s refusal to fully cooperate with the United Nations (UN). On the morning of Israel’s second Universal Periodic Review (UPR), scheduled for Tuesday 29 January, it remains unclear whether it intends to participate. This lack of transparency will not only mean that Israel avoids rigorous criticism of its violations of international law, but that the entire UPR system will be undermined by the loss of its two fundamental principles: equality and universality. In May 2012, Israel formally announced its decision to “suspend its contact with the Office of the High Commissioner for Human Rights (OHCHR), the Human Rights Council (the Council) and its subsequent mechanisms”. Israel reportedly met with the Council President His Excellency Remigiusz A. Henczel in January 2013 and discussed a postponement of its UPR. However, as no formal request has yet been made, the Council agreed to proceed as scheduled and to consider on the day what steps to take if the Israeli delegation does not attend. These exceptional circumstances have created uncertainty and forced some civil society organisations to revise or limit their engagement with the review process due to the risk of investing necessarily significant resources into a process that may not take place. Thus, a key component of the UPR process – civil society engagement – has been severely hampered. Through this uncertainty, Israel and the Council are setting a dangerous precedent on the international stage, one that could be followed by other States refusing to engage with the UN in order to avoid critical appraisals. Israel’s decision to disengage from core mechanisms of the United Nations human rights system has, in effect, resulted in preferential treatment. All but one of the 193 UN Member States have attended their UPR as scheduled; in that single instance the State of Haiti was unable to attend due to the humanitarian crisis caused by the 2010 earthquake. Israel should not receive any benefits or concessions for its efforts to undermine the system of the UN and, in particular, its human rights system. To the contrary, the Council should ensure the unobstructed process of Israel’s UPR in accordance with the principles and standards set in the UPR mechanism, thereby reasserting the condition that human rights are more important than political or diplomatic considerations. Moreover, Israel’s move to suspend cooperation with the Council and the OHCHR must be viewed within the context of its ongoing refusal to respect the decisions, resolutions and mechanisms of the UN. Consecutive Israeli governments have refused to recognise the State’s obligations under international human rights law with regard to the Palestinian population of the occupied Palestinian territory (oPt), obligations repeatedly reaffirmed in statements by UN treaty bodies. Israel also rejects the de jure applicability of the Fourth Geneva Convention, incumbent upon it as the Occupying Power, in defiance of numerous UN resolutions, the 2004 International Court of Justice Advisory Opinion on the Legal Consequences of the Construction of a Wall in the oPt, and countless statements issued by governments worldwide. In 2009, Israel declined to cooperate with the UN Fact-finding Mission on the Gaza Conflict, headed by Justice Richard Goldstone. Justice Goldstone repeatedly called on Israel to engage, to no avail. More recently, in 2012, the UN Fact-finding Mission on Israeli Settlements in the oPt was denied entry into the territory to collect testimonies. The Mission joined a long list of UN Special Rapporteurs and the Deputy High Commissioner for Human Rights, to whom Israel has also refused entry. Furthermore, since his appointment as Special Rapporteur on the situation of human rights on Palestinian territories occupied since 1967, Mr. Richard Falk has not been allowed to enter the oPt to carry out his work. Within this context, 15 human rights organisations call on the Council to take a firm stand consistent with the seriousness of Israel’s obstructive actions to date. This past year has thrown many obstacles in the way of our collective strive for human rights. 2012 saw the ACAA protocol passed by the European Parliament and the Haifa District Court’s rejection of the Rachel Corrie’s family’s appeals. These two developments set dangerous precedents domestically and abroad that will threaten future justice-protection mechanisms. In addition, a spate of discriminatory legislation was passed this past year; the Prawer Plan threatens the livelihoods of Arab Bedouin in the Naqab, the Family Unification Law divides Palestinian families, the Anti-Boycott Law violates freedom of speech, the Naqba Law revokes the Palestinian minority’s right to commemorate a national tragedy. Each law like these that is passed further restricts the human rights of Palestinians in Israel in favor of consecrating the superiority of the Jewish majority. The upcoming elections on January 22 are projected to an extremely right-wing government to power. Most serious of all, the outbreak of violence in Gaza in November portends troubling attitudes from Israeli politicians and marks the most recent in the long line of Israeli violations of Palestinians’ human rights. The HRA is working as hard as ever to protect and promote the rights of the Palestinian Arab minority in Israel. We published two reports on issues of discrimination, one about home demolitions and the other focusing on the personal tragedies caused by the discriminatory family unification law. Our human rights forums and youth outreach programs reached over 10,000 Palestinians living in Israel. We also started a Twitter feed and redesigned our Intern Blog to make is easier for us to connect with supporters from all over the world. 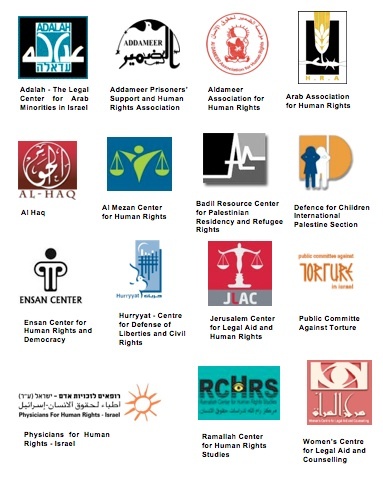 This year we will be starting long-term projects with many esteemed partners in Israel and the Occupied Territories. In 2013 we project our programs will reach record numbers of participants. We hope to further expand our social media presence and to find even more ways to spread the word about human rights abuses in Israel. Our efforts can only be successful with the participation and support of people like you. We are happy to announce that today it is easier than ever to support our work. All you have to do is go to the Donate Today! section on our website and click the Paypal button. You can start the New Year off right by supporting our work and joining our effort to promote human rights in Israel. On the occasion of International Human Rights Day this year, The HRA is honored to co-host an evening of cultural celebration. Tickets will cost 30 shekels and they will be available at the door. Space is limited.